When the company was established in 1908 as the Leominster Potato Chip Company, their 8 mile route was covered by a horse-drawn cart. 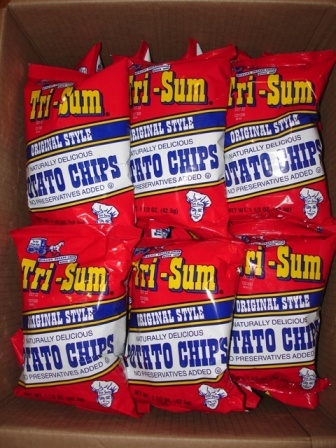 The Tri-Sum Potato Chip Company's name was selected via a customer contest. We are proud that four generations of the Duchesneau family have carried on the Tri-Sum tradition. 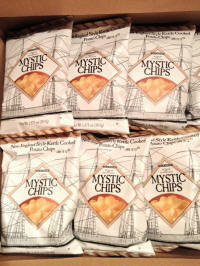 We pledge to you our best efforts to offer the finest snack foods and we thank you for your product loyalty. 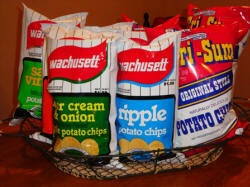 Tri-Sum "Original" Style Potato Chips offer you an old fashioned flavor, taste and quality unequaled by any other brand of potato chips.